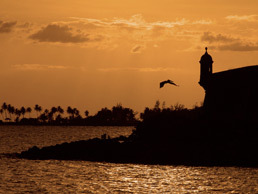 When you close your eyes and think of Puerto Rico, the Island of Enchantment’s natural beauty comes to life. You can hear the whistling “coquí, coquí”, of our Puerto Rican tree frog. You can imagine the flash of color as the endangered Puerto Rican Parrot finds its nest along a rushing waterfall. You can wonder at the Leatherback Sea Turtle, also an endangered species, that travels thousands of miles to the beaches of Puerto Rico to lay its eggs. Maybe you hear the beat of bomba and plena together with the ocean pounding against the sand where your family is soaking up the warm tropical sun. Maybe you marvel at the view from the peak of El Yunque that tumbles down to the coast. Maybe you weave your way through the towering limestone mogotes that filter our drinking water on the western part of the Island. For the last 40 years the Conservation Trust has dedicated itself to connecting people with nature through its mission to protect and enhance the Island's natural resources. The Conservation Trust carries out this mission through the acquisition of lands of great ecological, aesthetic, historic and cultural value. The Trust currently protects more than 23,000 acres of valuable land in Puerto Rico, where they have received over 1 million visitors in the past 20 years alone. Through education programs the public learns about environmental issues and the need to protect and conserve our natural resources. Through its reforestation program, Árboles… más árboles (A+A), the Trust produces and distributes native tree species that help promote the Island's biological diversity. The only beneficiary of The Conservation Trust is the people of Puerto Rico. If you enjoy picnicking with your family or treasure memories of a special place in nature you love to visit, you'll feel right at home in the Sierra Club. Since 1892, this organization has been working to protect communities, wild places, and the planet itself. It is the oldest, largest, and most influential grassroots environmental organization in the United States with 1.4 million members and supporters who are inspired to explore, enjoy and protect the natural treasures of our planet. 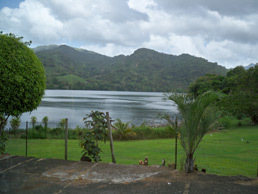 The Sierra Club of Puerto Rico was founded in 2005 by three Puerto Rican students of environmental affairs at the Metropolitan University in San Juan. 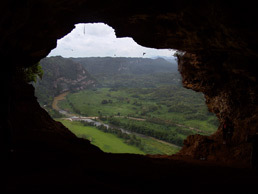 Now the Chapter's volunteers offer excursions every weekend to help people discover Puerto Rico's enchantment. The Island's 1300 members work together to protect the places we visit so that they will be available for today's children and one day their children too. Make sure to turn off all the lights, computers and ACs before you leave for the Parade. Leave your car at home. Take public transportation to the Festivals and Parade. Take a reusable, refillable water bottle to the parade, helping create less trash. Take a reusable shopping bag with you to bring your parade goodies home. Make sure any cans and bottles you use during the day end up in the recycling bin not the trash can. If you do not want your parade goodies either donate, recycle, or re-gift them. Don’t throw them away. Taking small actions to protect the environment is important for our kids’ future, but also can help you save a few dollars. The electricity we use at home, the gas we guzzle in our cars and the products use and then through away have a cost to the environment and often to our pocket book as well. The environmental impact can be as local as a growing landfill or factory that pollutes our water and air that can make us sick. Or the impact can be as big as global warming which intensifies heat waves, deepen droughts and strengthen hurricanes putting our communities at risk. By changing the way we do things we can help the environment and save some money at home by using less electricity and gas, as well as buying less stuff. We have the power to change the way we do things and to protect our Planet’s natural beauty so that the world we leave our kids will be a place that will be safe, healthy and beautiful. But we need your help. You can make the difference.